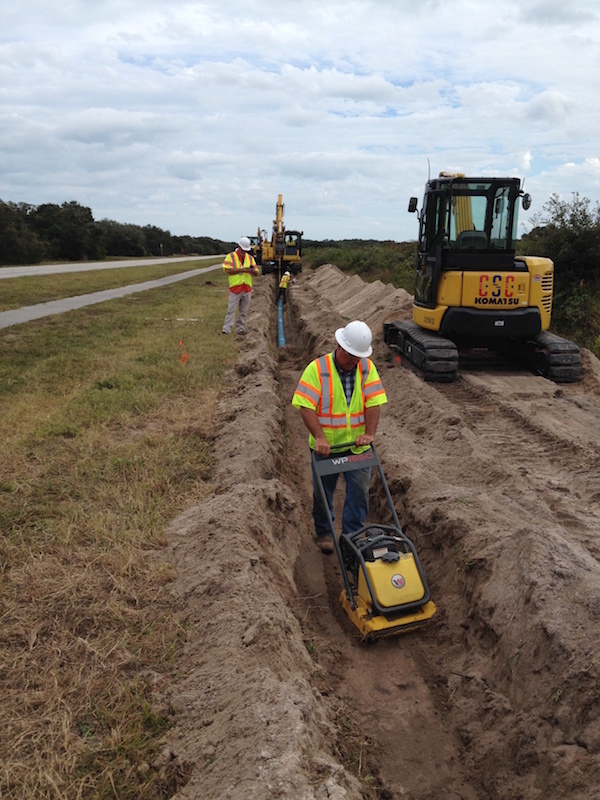 CSC was the Prime Contractor for this project located at Cape Canaveral Air Force Station. 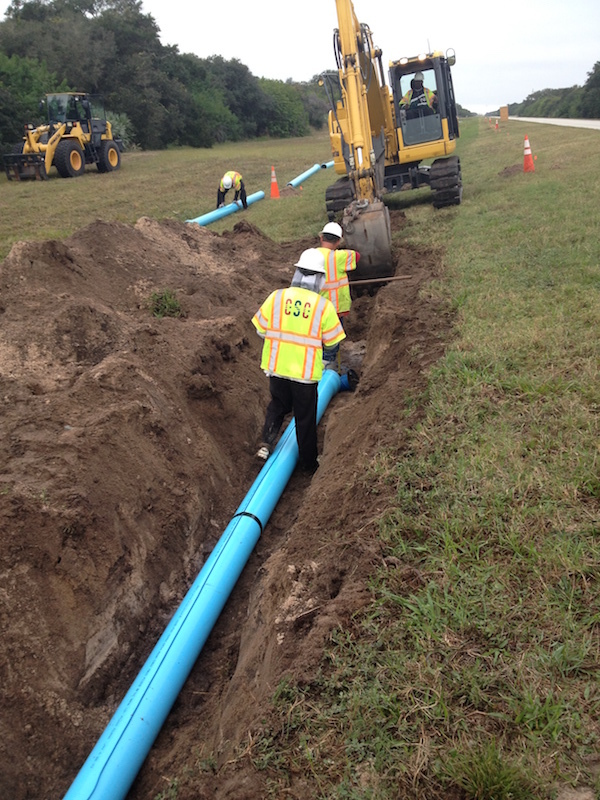 CSC performed the installation of new underground water distribution pipe and services; including demolition of existing water piping, pavements and concrete pads. 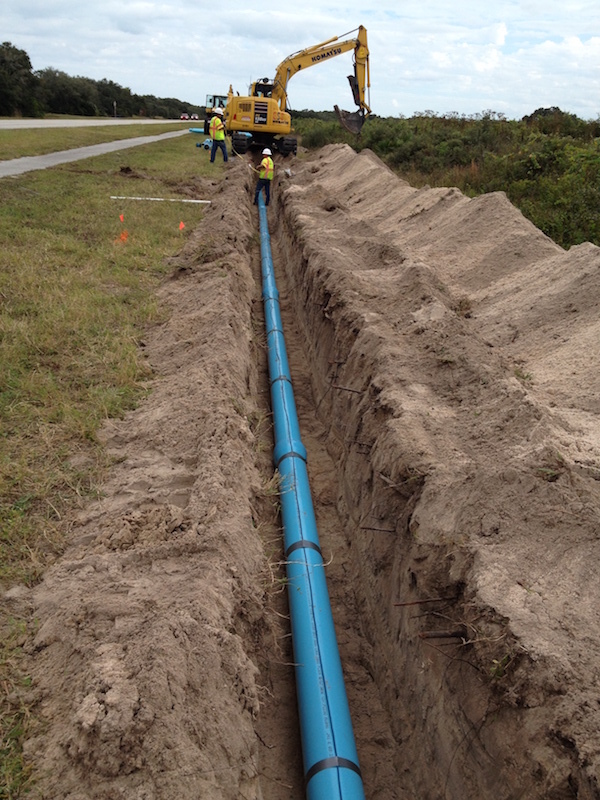 CSC installed new 12” and 8” water distribution piping, backflow prevention assemblies, water meter assemblies, fire hydrants, and performed facility tie-ins. Challenging aspects of this project included: working around rocket launch schedules and the ensuing “No-Dig Days”, unallocated existing utilities, and coordinating utility outages for tie-ins with the various facility tenants. 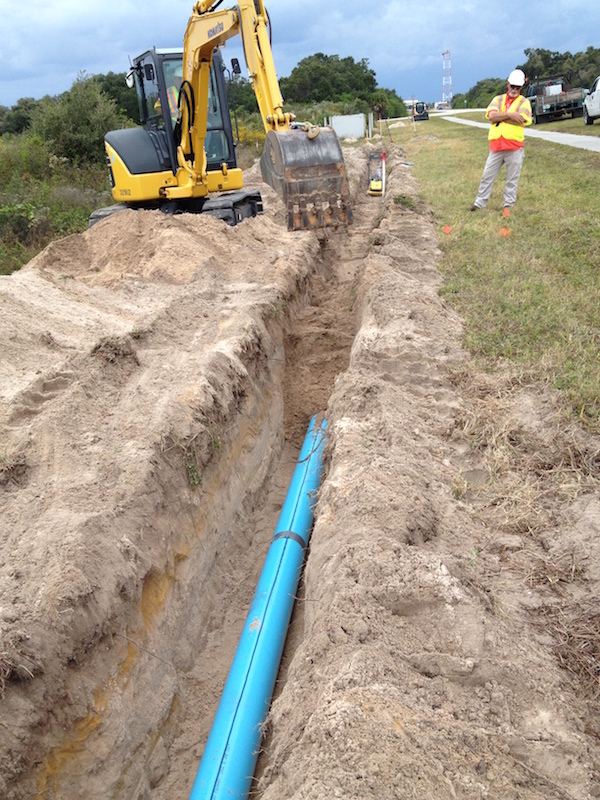 CSC installed in excess of 18,000 lineal feet of pipe without damaging any existing utilities. The contract administrator and project owner was the 45 CONS/LGCAC.